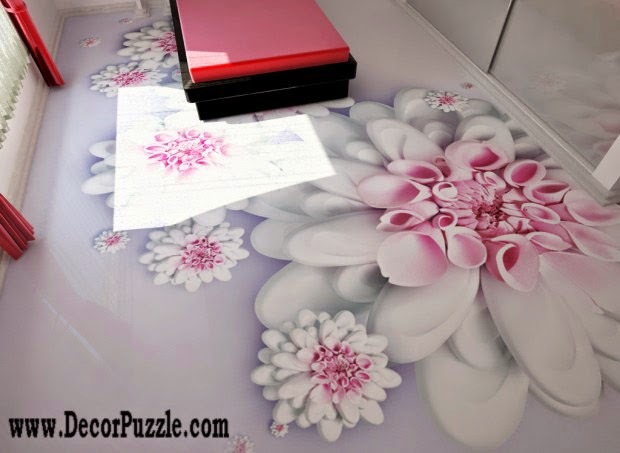 You should see: All Secrets on 3D Epoxy Flooring and 3D Floor Art Designs - How to get 3D flooring in your bathroom in detail? 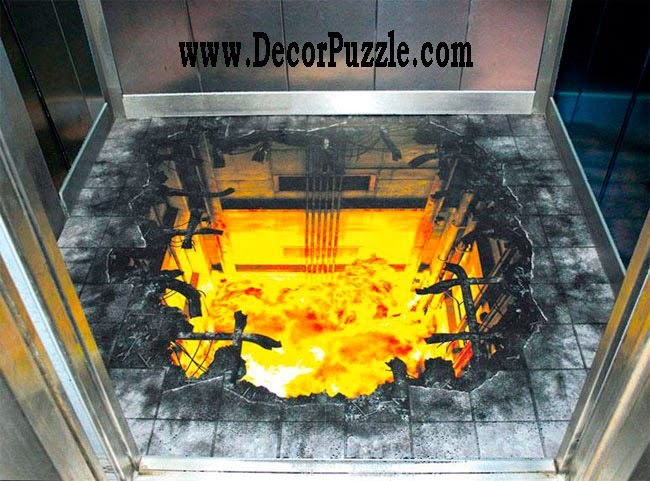 Self-leveling 3d floors - a new technology for manufacturing of flooring. Incredibly huge selection of colors and materials to create them suggests that this method is a promising device gender and popular lately. Self-leveling floor laying technique became known recently. 10 years ago it was not used at all, but today it is one of the most promising directions in the construction industry. 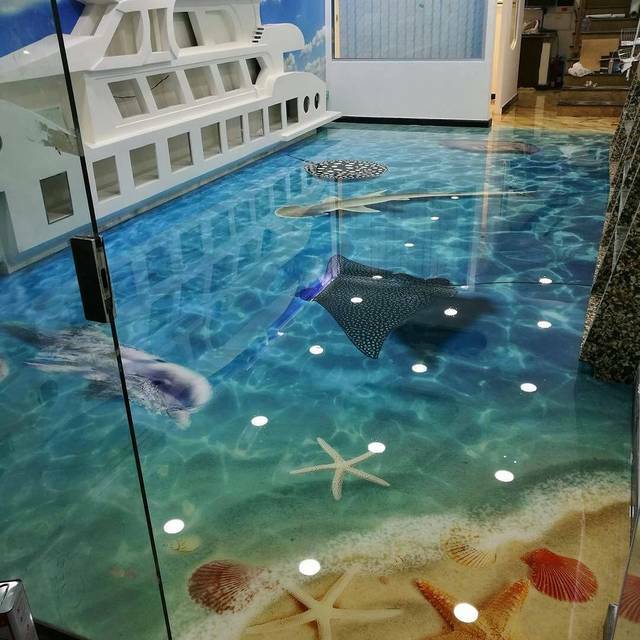 Such hype associated with a greater capacity self-leveling floor, because apart from a large scope of application, there are important and specifications, and performance. In addition, not everyone knows that fill the floor with their hands really, although it requires certain skills and knowledge. 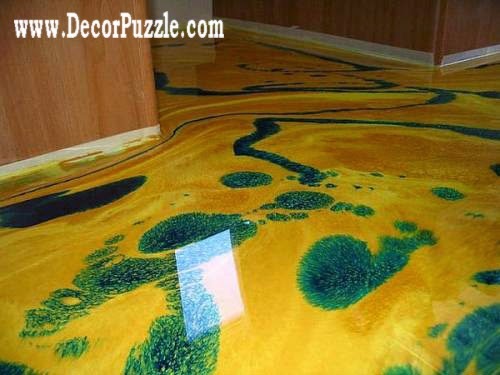 Decorative Flooring - it's not just a picture, a large-scale art object, which radically changes the idea might look like floor coverings. On the one hand - this surface, and the other - the full picture, with all shades and textures. A strong and durable surface on which a person walks in the room can be beautiful, creative and unique. 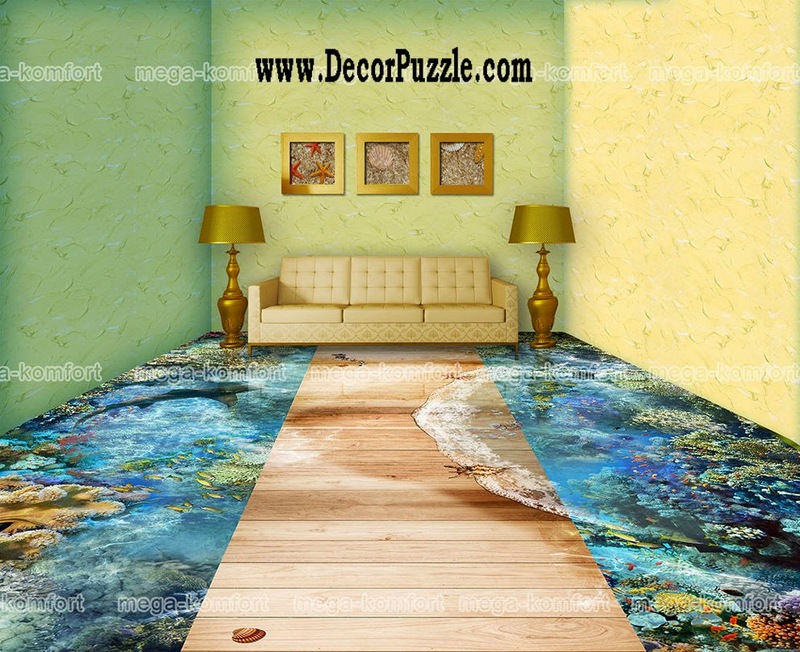 Decorative 3d flooring - this is one of the most modern variants of interior decoration of any room, whether it is a flat or a house, office or entertainment center. 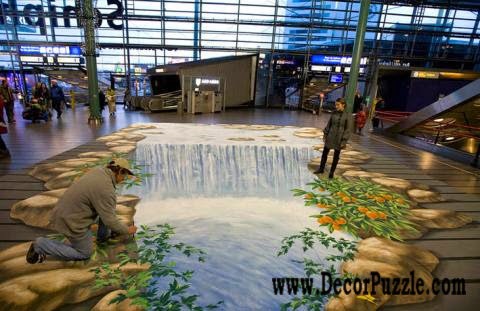 Decorative self-leveling floor, 3d floor art are primarily image-element, in this case, do not lose their functionality and durability. 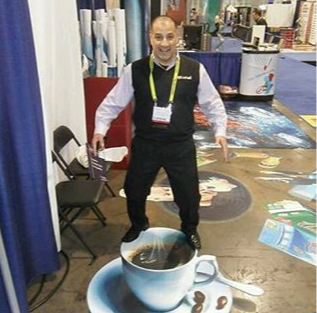 Thanks to modern technology, the use of new, proven and high-quality materials and equipment, skill and professionalism of the performers we can implement both simple and complex design 3d floor at prices that will suit any owner of residential or non-residential premises. At the decoration of their owners have to solve a lot of questions about the design features elements of the interior and the materials used. A person not familiar with innovations for finishing works may surprise an abundance of options due to the presence in the arsenal of the builders of many modern technologies. One of the main structural elements of any room is the floor and the top layer - flooring. Traditional materials for the manufacture of the component - Flooring, parquet, laminate, linoleum. Recently, this series was supplemented with another type of coverage - self-leveling floors. It should be noted that this technology is well proven, and as a base for all types of flooring, and as an independent floor, especially with decorative trim - drawing of patterns, drawings, and finishing with special polymer compositions. It was the latter is the highest class of contemporary gender. 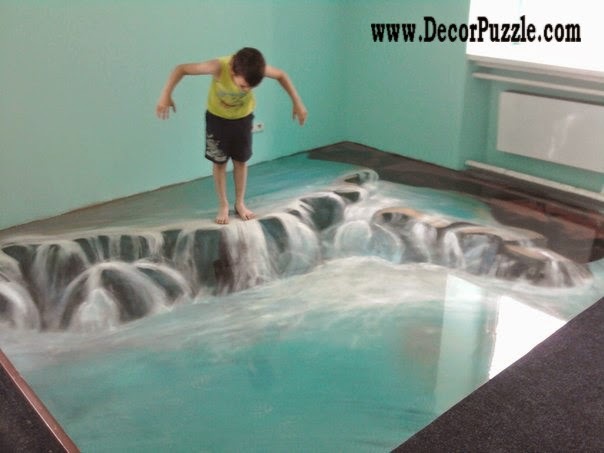 The apparent complexity of the decorative self-leveling floor can only confound those who do not know about such properties of viscous materials such as fluidity and mobility. This physical characteristic of specific products, distributed on the floor surface, determines the evenness and mechanical design parameters. 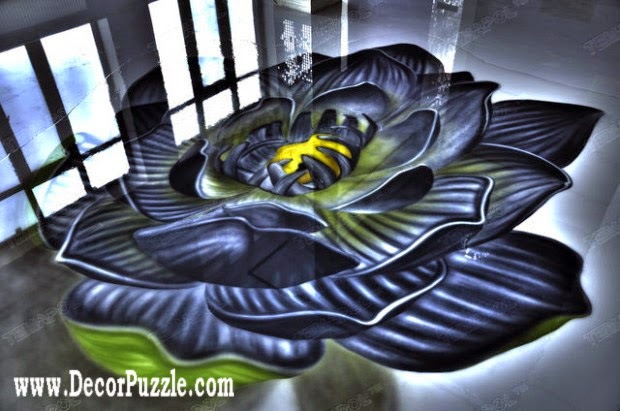 Visual appeal is achieved by applying the figure, including the technology 3D floor, or a sticker on the finished image is one of the intermediate layers. Careful adherence to building codes and regulations at all stages of the work makes it possible to obtain a unique appearance, perfectly smooth, durable, in keeping with the rest of the interior flooring. 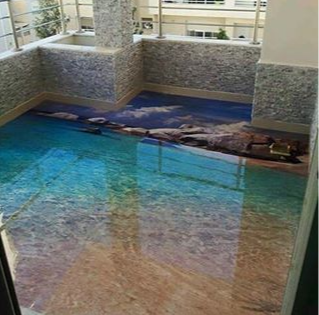 Every year the number of design options for 3d floors and self-leveling floor increases, so it makes no sense to try to list them all. Every designer comes up with its own floor, which is unparalleled anywhere else. And each new technique or method of the root, upgraded, improved day by day. This kind of coverage is not accidental deserved popularity. Screed than comparable rates to other materials, a number of other advantages. The most characteristic and attractive feature is it's so-called seamless - design has a perfectly flat and smooth surface without a single seam. Among other advantages of the material is worth noting simplicity and ease of maintenance - buying floors, you can forget about tedious and time-consuming cleaning. 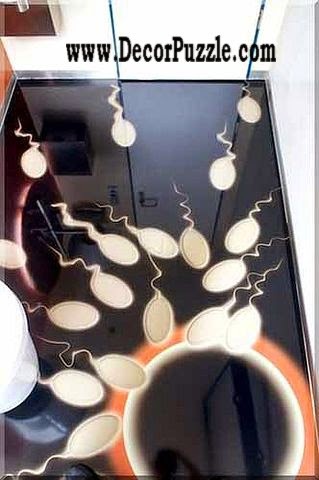 Coating of polymeric materials has stain-resistant and extremely high anti-static properties, and no seams leave bacteria and fungi breeding ground. This self-leveling floor hygiene is especially important in families where there are small children - buying and 3D-bay floor, you can not worry about the baby's health. In addition, due to the special structure of the coating is resistant to mechanical damage, which ensures its durability. However, special attention should be the aesthetic side of the issue - modern 3d floor systems can become a real decoration of any interior, regardless of the chosen design for the space style. I especially notice the modern technology of creating three-dimensional images. Due to the dynamic development of the art production appeared a number of interesting proposals that deserve close attention. 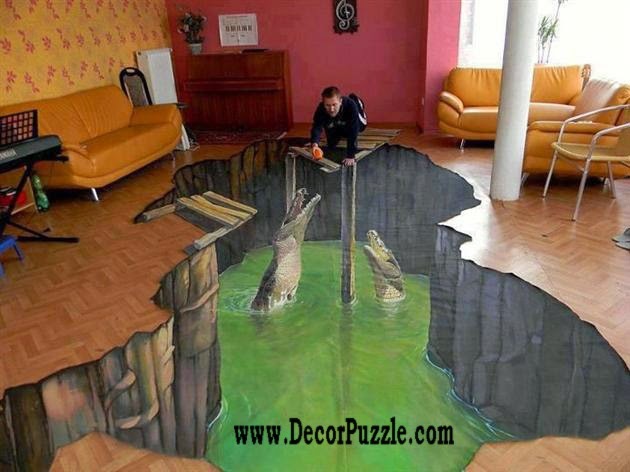 Today you can buy self-leveling floor with different effects and images - your imagination is really nothing limits. Some types of seamless coatings with a pattern represent a true work of art that can easily turn a typical apartment in a real dream home. 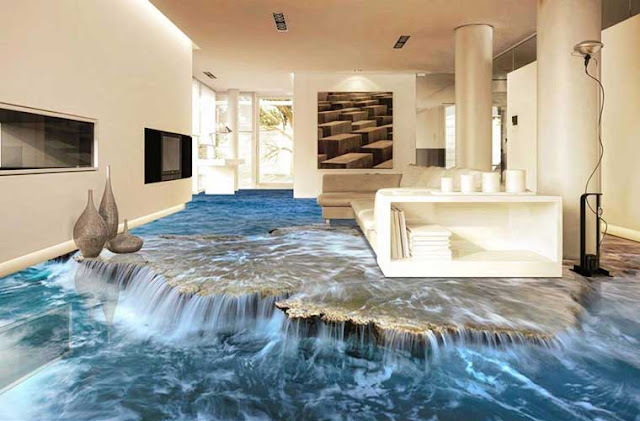 The most popular variety of liquid coatings is a 3D floor. Increasingly, it is mounted not only in offices and shopping centers but also in ordinary apartments. 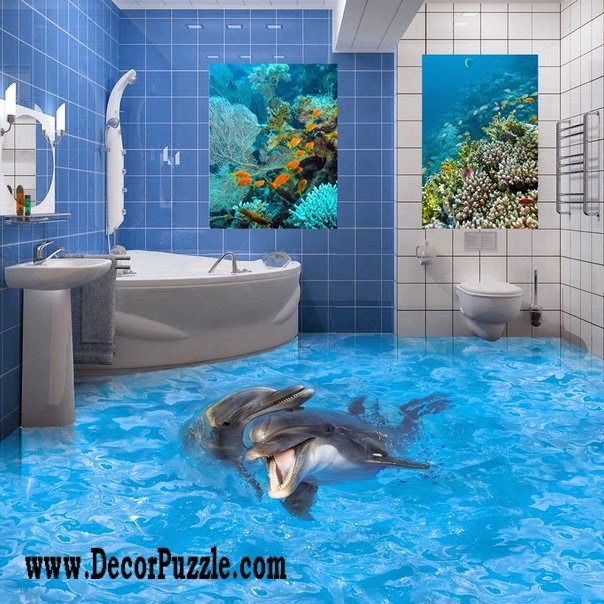 And the area of the room is of no importance, because the size of the picture or three-dimensional image completely cover the entire floor surface, be it a classic for bathroom, toilet or gym. Is it possible to install the 3D image to the right? 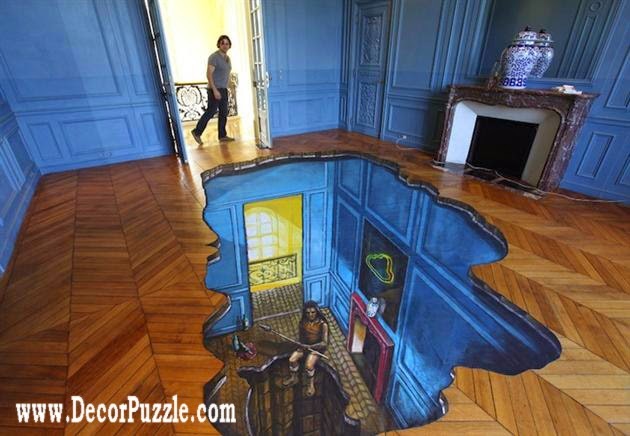 What is the picture on the floor? Where to find the final image? Can I somewhere to order the graphics that like? 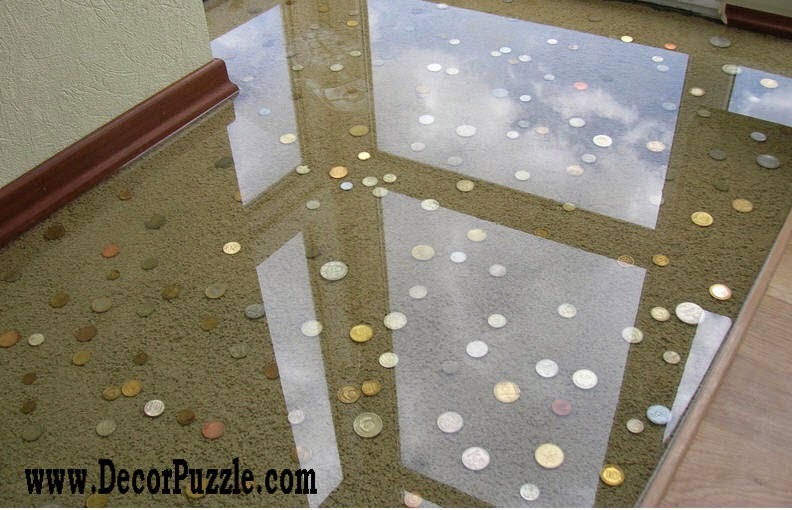 What is the cost of the finished graphics for the self-leveling floor? And if the first question is more or less clear, the others often remain unresolved. This leads many to apply to the construction companies, which themselves provide pictures to choose from, as well as fully carried out all the work on installing a 3D floor. 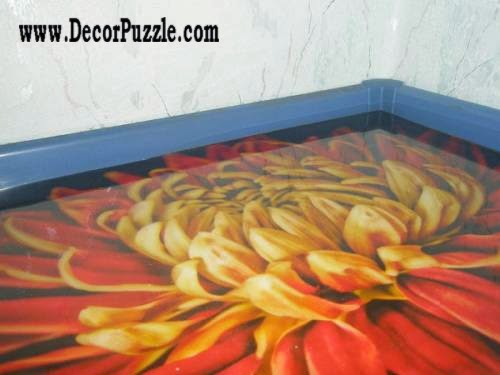 In choosing a pattern or style of the self-leveling floor can help a professional designer. He finds the optimal solution for each room separately, given its specificity and function. But you can try to determine the image of its own since today is possible to manufacture and installation of absolutely any pattern. There are also templates, which are designed for different areas. 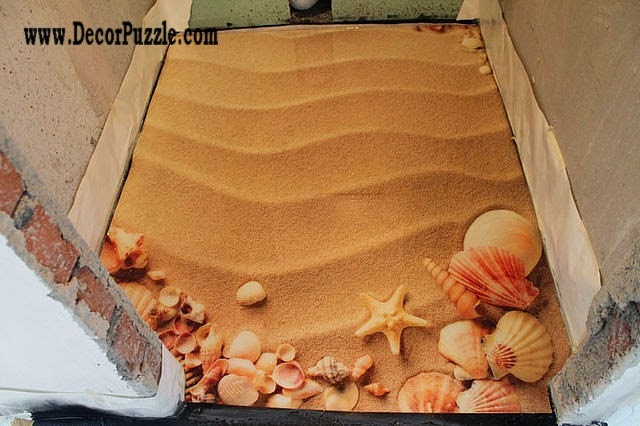 For example, seascapes bathroom, bathroom sand dunes, interesting textures and three-dimensional images of living. 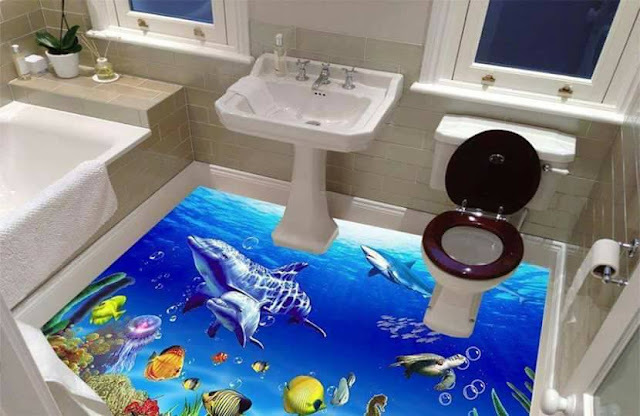 But if the bathroom or toilet is easy to design templates, the bedroom or child's room does not always find the necessary images. Still, there is more intimate, personal zone. And it should be comfortable and rather spectacular. Of course, everyone has their own ideas about comfort, but still, there are a number of bell-bottoms, which will help determine the choice of the design of the inlet floor. In the bedroom, it is best to look calm, pastel colors. Flashy colors or bold patterns are unnecessary, sometimes a vulgar bedroom. 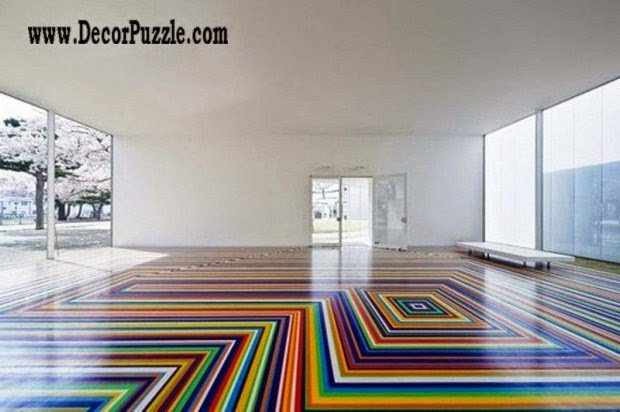 The children's room allowed the bright colors on the floor, but in the smooth lines. Strict geometric angles and lines are more suitable for the office. When the image is best guided by calm, relaxing scenes: beach, aqua, green grass, sky. 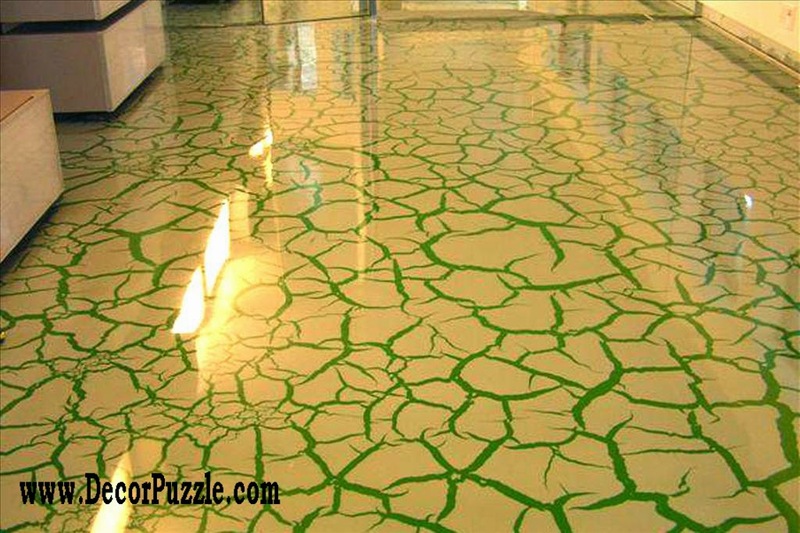 How to Take Care of 3d Epoxy Flooring? Dry cleaning liquid screed as wet, do not pose any difficulty. 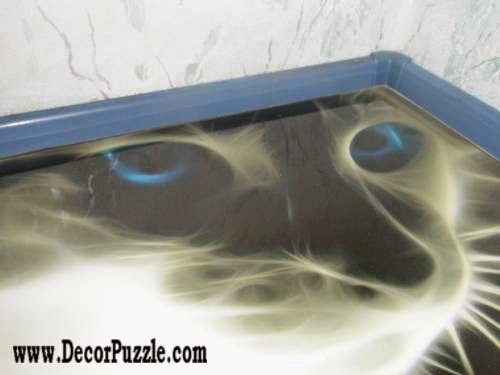 Polyurethane coating repels dust, so wash it quickly and easily. After wet cleaning is recommended to additionally wipe the floor with a dry cloth, do not necessarily dryness. Also good clean self-leveling floors wet vacuum and steam mop. A coating can be disinfected, diluted detergent with water in the proportions indicated on the package. 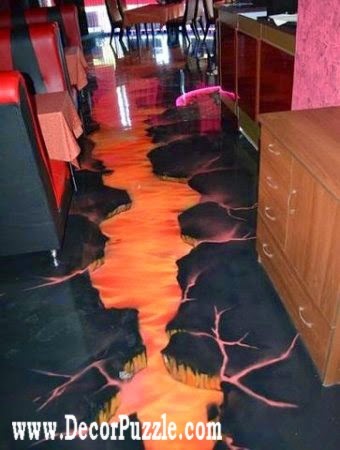 In particular care liquid, fine floors do not need. 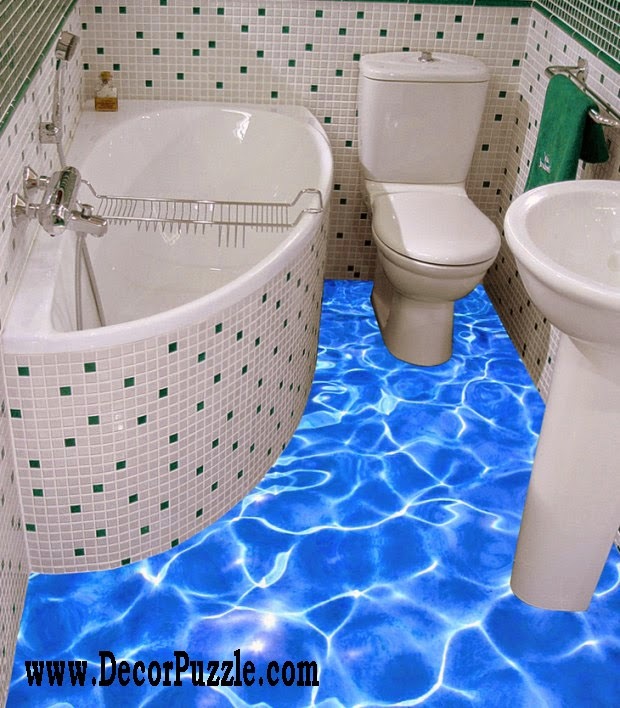 They do not need to rub mastic once a month to shine, as required by the parquet. They are not afraid of a large amount of moisture as a laminate. 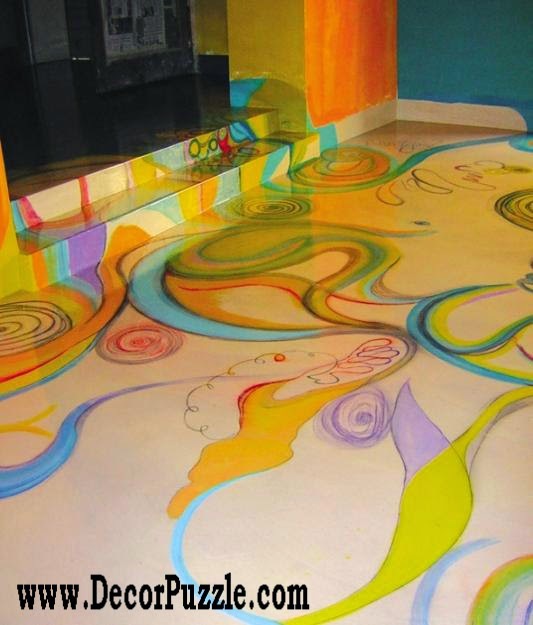 Despite a brilliant gloss floors do not require the use of special tools and do not require special handling. Rub them to a shine will not even after prolonged contact with water (flood, special disinfecting treatment). Sand and mud to cover not stick and eats, which is especially important in autumn and winter, when the roads are sprinkled with salt on the streets, abrasives.